It's that time of the year when boots find their way to the front of your closet. Whether you style them over jeans, pair them with an ankle-grazing dress, or throw them on with an oversize sweater, boots are the true hero of any winter outfit. You may already have some essential boot staples in your closet, but which are the big new trends we can expect to see in 2019? Although your go-to pairs will still have their place in your closet, the S/S 19 runway shows allowed us to look a few months into the future to know which boot trends will be everywhere on the fashion scene. From patterned boots at Chanel to slouchy styles at Isabel Marant to over-the-top glitz at Balmain, there are plenty of new boots trends waiting for you in the New Year. Ahead, see and shop the five best boot trends of 2019. Designers are embracing patterns in their S/S 19 runways. Floral was an especially popular pattern, and it goes great with minidresses. Slouchy boots are a timeless piece I guarantee you will wear down to the sole. They pair perfectly with jeans and a sweater or even a miniskirt. Nothing glams up a simple outfit like a pair of glitzy boots. These picks will be sure to make an appearance in your NYE ensemble! The feather trend has migrated from tops down to shoes, so get a pair now to be ahead of the curve. They look especially good with a simple outfit; let the boots do the talking. 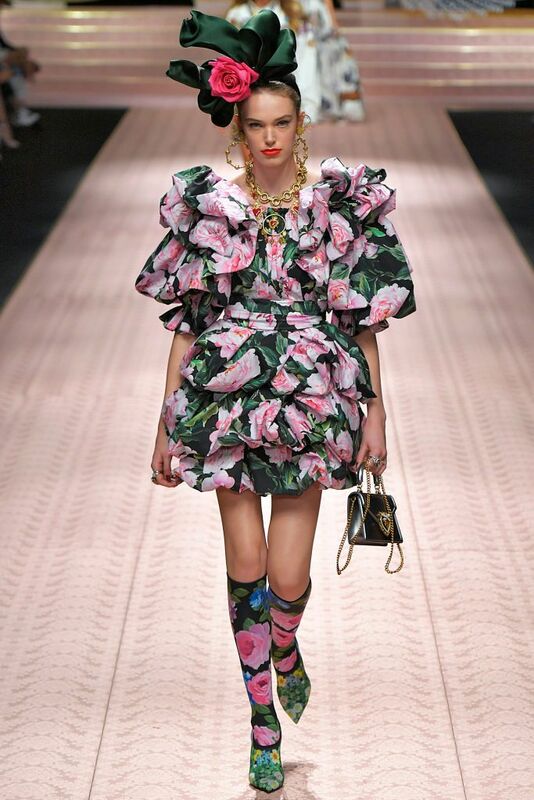 From oversize sleeves to lace-up shoes, the Victorian era is back and better than ever. The picks below are so versatile and can be worn for a fancy dinner or a simple brunch with friends. Well, we don't know about you, but our closets are stocked and ready for the New Year.